Django, a project I have helped nurture for more than four years (including some time as a proprietary project when I worked at the Lawrence Journal-World) has today reached a milestone: we've given it a "1.0" status. In the world of open-source programming, this means it's stable, well-tested and generally a strong piece of software that its developers are proud of. Given the milestone, I was reminded of an early Django memory that has stayed with me for years. Soon after we casually open-sourced the framework in July 2005, a Web developer, somewhere many time zones away from Chicago, posted a screenshot of his Django-powered Web site. 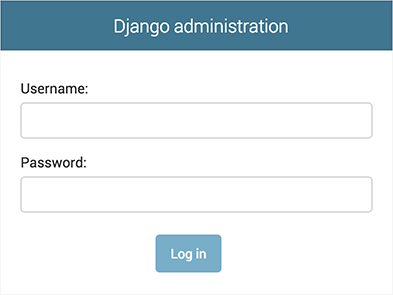 It was the Django admin login page, and I remember feeling a strong sense of astonishment. What? Some random guy halfway across the planet, whom I'll most likely never meet, actually took the time to learn and use this software that we'd built? And, what's more, he actually found it useful? I was quite struck by that. Obviously, we'd intended this to happen -- the whole point of releasing code under an open-source license is to make it available to as many people as possible -- but it was an amazing feeling, nonetheless. Over time, I've grown accustomed to the fact that, yes, people use Django -- so seeing a screenshot of the Django admin doesn't faze me much anymore. But the cool thing is: Bigger and bigger things are happening, and I still get amazed, time and time again. A print version of a Django book that I cowrote is actually sitting on the shelf in the bookstore down the street from my house? And, what's more, readers actually pay money for it, given that we released a free version online? People take the time to record a weekly podcast devoted to our community? We formed a non-profit foundation? Google supports Django in its App Engine product? And there's a Django conference this weekend? It all continues to amaze me, and it all continues to inspire me. Here's to a fantastic community and a great piece of software. Thanks for the experience so far. Wonderful that Django 1.0 is out, it's definitely made a lot of progress, and the documentation is getting much better too. I can't wait to sink my teeth in with a real full-fledged project. I'm sure the community support will only get better. Definitely cool how far it has come. What an amazing sense of accomplishment for you and all those involved. Congrats! I'm a journalist without programming skills, but Django amazes me as well. I really want to dive into it sometimes. What can I say, Adrian! In these 2.5 years I've been around Django (using, testing, lurking the groups) I've learned so much about a business I thought I knew, being a Web developer since 1996, that I can't thank the Django community enough. Next year is looking to me like the year I went back to self-employment, and back to technologies I love working with -- and that means Django of course. Watching you and the rest of the gang putting Django together was a fantastic, eye-opening, amazing experience. Can't thank you guys enough! no no no thank YOU. And dont you dare leaving the django community! As Carlos, I've been about 2.5 years with Django too. I can't stop amaze on community and quality grow. With Django r1.0 Python web development gone highway! Great news and nice milestone. First time I heard about it was when I was working in a journalism office and the different innovations you made with ljworld.com. I tried to convince my direction to use django or ellingtoncms.com, without success. It is amazing what you've created and the community behind it. It's awesome. It would be interesting to see the distribution of django devs around the world! Just one simple word: thanks! I started using Django almost 3 years ago and it's been nothing but my first choice for web development since then (I've used PHP, AOLserver, Java, ASP, Zope/Plone and would never go back). Not only is its documentation, code quality, cohesiveness, and overall performance first-rate, but its community is one of most rational, skilled, and friendly around. Thank you for outstanding work and leadership. Congratulations on the 1.0. It's a testament to the framework that even design goofballs like me can make it work...and continue to update my apps through all the changes on the way to 1.0 without getting too lost. Keep an eye on that incredulity, though. It leads to posts with...you know? Too many question marks? And your voice can get stuck in the raised position if you go up at the end of sentences that often. django is part of my life now! Congrats on the milestone release! I'm a neophyte Djangonaut, cramming hard to fill my brain with as much info as possible before DjangoCon. Loving so much of what I see in this framework. Thanks for birthing this baby, Adrian! Greetings from Costa Rica! best wishes and respect. Great work Adrian and Django team members! Thank you (for you, the core team, and all the contributors) for creating Django. It is really neat. Thanks for a great piece of software. Django has made my life easier. Thanks for the hard work, and congrats on the 1.0! Hey Adrian, glad to see you back in action, quite some time since heard of you, BTW congrats on the Django's success.